Whether you’re in college sharing a dorm room, or just have roommates to make rent cheaper, here’s how to set up your smarthome devices so that they play nicely with multiple household members, as well other devices that your roommates might have. There once was a time where you wouldn’t even have to worry about this, because smarthome wasn’t really a big thing. But now, smarthome devices are becoming more mainstream, and many homes and apartments are filling with these nifty gadgets. If you live alone or with family, there’s really not much to worry about, but if you have roommates, things get a bit trickier. The good news is that it’s still fairly easy to make it all work. If you’re feeling generous and want to share the smarthome love with your roommates, most (if not all) smarthome devices let you share access with other people. This gives your roommates the ability to control your smarthome devices, like lights, door locks, and even the thermostat. 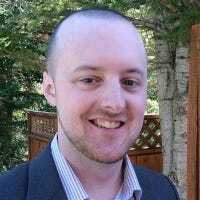 You can even set different permissions for other users, so that they can control devices, but not necessarily make changes to any backend settings. Sharing smarthome devices is usually a good idea from the get go, especially if any common spaces in the dorm, apartment, or house utilize smarthome devices. If you and your roommate happen to have the same smarthome device, like some Philips Hue lights, they can co-exist without issues, and you shouldn’t have to worry about interference. This means, as long as the devices are on two separate accounts, then they’ll work just fine on their own. So if you set up Hue lights in your room and your roommate does the same, the two Hue Bridge hubs won’t get in each other’s way. However, you may come across a situation where only one kind of smarthome device can rule the land, like a smart thermostat. So if you and your roomie both bring your Nest Thermostat to the table, you’ll only be able to install one of them and keep the other has a backup spare, unfortunately. From there, you can start to argue about what the temperature should be set to, but that’s neither here nor there. 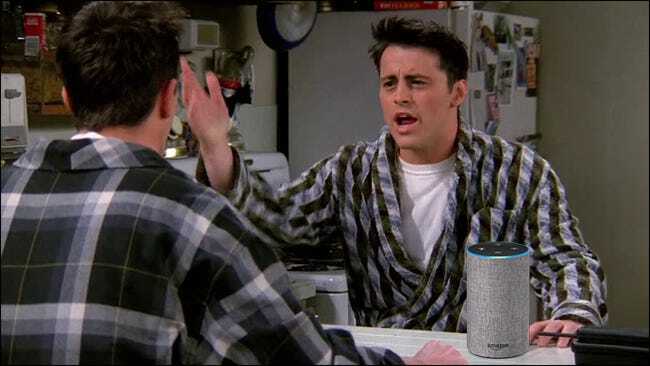 Devices like the Amazon Echo and Google Home are awesome to have as smarthome companions, but that’s where it can get a bit dicey when your roommates also have the same voice assistant as you, and this is usually where duplicate smarthome devices start to clash with each other. If you have an Echo and your roommate as a Google Home, you’re mostly fine, since both use different wake words. However, if you and your roommate both have an Echo—especially if they’re using different Amazon accounts—you’ll probably want to change the wake word on one, so as not to accidentally trigger your roommate’s Echo. However, you can’t change the wake word on the Google Home, unfortunately. So if you both have Google Homes, you’ll need to some planning to make sure that you won’t accidentally trigger their Home. Or attempt to share your Google Home if you’re comfortable doing so, which is a good way to go if you don’t mind making a few sacrifices. There’s a likely chance that if you have a roommate, you’re probably renting an apartment or a dorm room, in which case there are rules you have to abide by. And it’s possible that you won’t be able to use certain smarthome devices in this situation. Usually, renters aren’t allowed to change the door locks (if you wanted to get a smart lock) or the thermostat (if you wanted to get a smart thermostat). Sometimes if you ask nicely they’ll allow it, but generally you won’t be able to install a handful of smarthome devices that require changing things in the residence. RELATED: What Kind of Smarthome Gadgets Can I Use If I Rent an Apartment? However, a lot of devices can just plug right into an outlet, and that’s a great way to go for a renter. And you can usually use your own light bulbs, so smart lights are also great. Rules will vary by landlord, obviously, but if you’re renting a place, it might be a good idea to check with yours to see what’s allowed and not allowed.